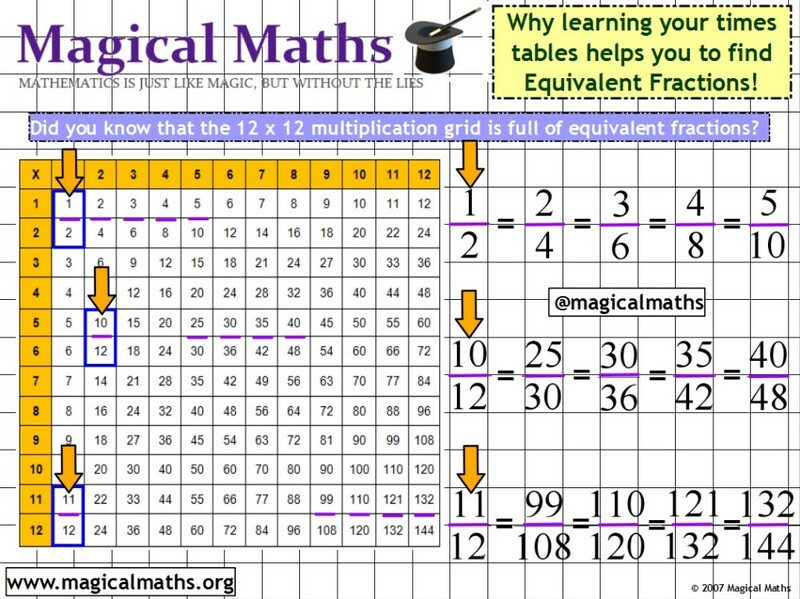 Did you know that the 12 x 12 Multiplication Grid can help you to find equivalent fractions? Below is a cool observation on how useful the 12 x 12 multiplication grid can be and would generate good discussion in any Maths educational environment. 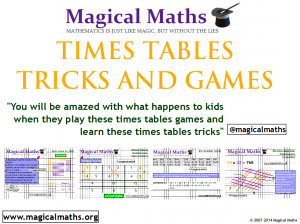 This is further evidence of how knowing your times tables helps you to develop your Mathematics skills and is the basis of other higher level Maths concepts. ‹ Could This Be The Best Pythagoras’ Theorem Lesson Ever? 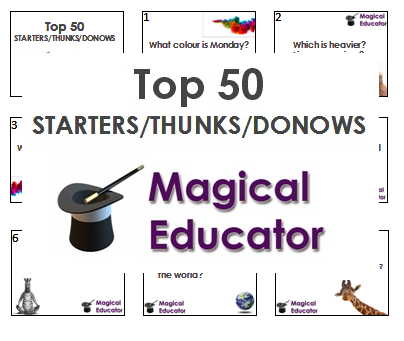 This was given to year 5 class with the question can you find any equivalent fractions?